Human Resources at the centre of the convention organized by publishing house ESTE on November 16th at the SGM Conference Center in Rome. Andrea Sasso, iGuzzini CEO and Angelo Camilletti, HR Director presented the company’s innovative approach to: company welfare, training, and community involvement with a particular focus on young people engaged through collaboration with local, national and international institutes. 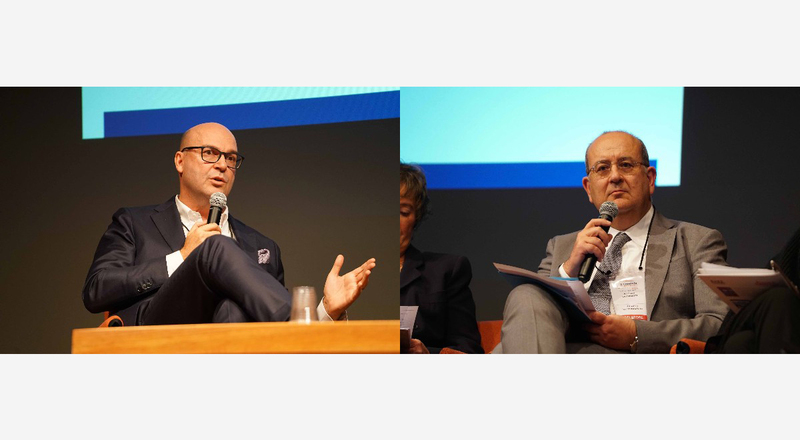 Andrea Sasso participated in a plenary discussion on “Work beyond the crisis” and on human resource management “strategies”, while Angelo Camilletti participated in the “Training and Development” round-table. iGuzzini has been recognized as a best employer by Top Employer Italy 2017, the global certification body recognizing excellence in HR management and working conditions. Among the elements that have contributed to the company’s successful model is the introduction of World Class Manufacturing (WCM) in 2014. WCM is a continuous improvement programme that applies a series of methods and standards in order to eliminate any kind of waste or loss: zero defects, zero faults, zero stock and zero accidents. As well as enhancing human resources and their ideas, WCM guarantees safety conditions and enhances workers’ comfort through customizable ergonomic workstations. Moreover, WCM led to the signing of an innovative supplementary company contract where a portion of compensation is determined on the basis of two indicators: company economic performance and efficiency increases obtained thanks to the program. At the same time as WCM introduction, a welfare program was set-up with the constitution of a special fund for the purchase of goods and services according to the specific needs of employees and their families. Andrea Sasso and Angelo Camilletti also presented the company’s training program for employees (20,000 hours/year), students and professionals belonging to the local territorial ecosystem where iGuzzini operates. Particular emphasis was placed on the partnership with the football team Recanatese and the tennis school within the Francesco Guzzini Club, conceived to collaborate with families in the physical, mental and ethical development of the young players.